The sleek profile of the Rock Lake 5ATC sleeps five in a smart three-room design with two Premier bedrooms, side door and ample ventilation options. 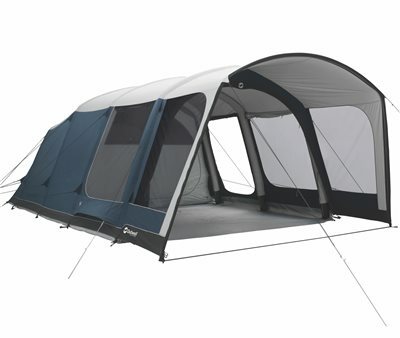 Its pre-shaped, Gothic-style air tubes ensure stability plus ample headroom with its steeper sides maximising internal space. A generous canopy over its D-shaped front door offers protection from downpours.